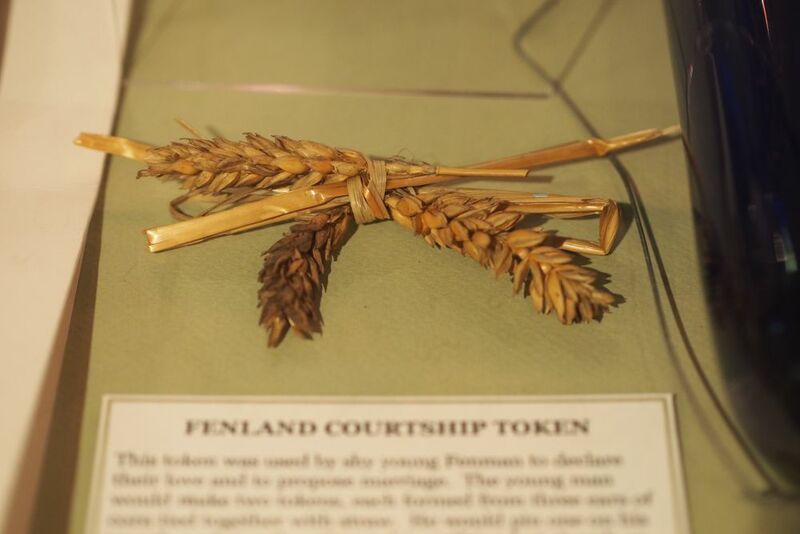 Shy young men of the Littleport Fens, until the latter years of the last century, would often make a declaration of their love to the young women of their choice by making a tangible offering instead of putting their proposal into words. 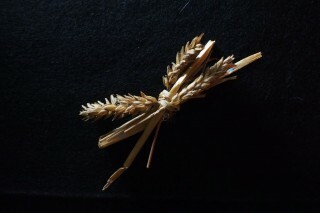 W. H. Barrett recalls that the aspirant to a girl’s hand would make two tokens each formed of three ears of corn tied together with a straw true-lovers knot. One of these he would pin on his Sunday smock, to the right of his chest and with the ears of corn inclining to the left. The second one he landed, without speaking, to the girl. She took the knot home and placed it with her parents, whereupon a family conference ensued to discuss the suitability or otherwise of the young man, who had to wait until the following Sunday for his answer. On that day, wearing his knot, he went to the girl’s home. She would open the door and he would look anxiously to see how she was wearing her token. If it was pinned to the right side of her dress, he knew that her parents disapproved of him as a future son-in-law; if it was pinned over her heart with the ears of corn pointing to the right, he knew he was accepted. 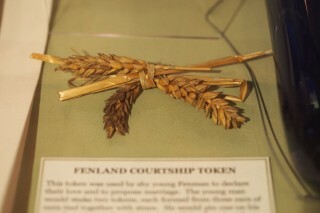 The tokens were worn throughout the period of courtship, which was not a long one, since it was traditional that the marriage should take place before the ears of corn shelled out. This avoided such sarcastic remarks from friends and neighbours as: ‘Did you have to sell the corn to buy the wedding ring?’. After the wedding the tokens were carefully preserved.